Tempura, grilled zucchini and sushi at Watari. Sushi has become a mainstay in the culinary adventures of most cities. Whether or not the place is near water, you can bet money that there is at least one Japanese eatery luring people in with the deliciousness of maki and sashimi. Therefore, it has become commonplace to see at least a dozen establishments spring up over the last few years, all vying for a spot in Edmonton’s sushi scene. What was more of a rarity was the all-you-can-eat (AYCE) Japanese restaurant. I only knew of maybe one or two businesses that fit the bill, but from what I had heard, it wasn’t worth the effort of going. Unlike what you can find in cities like Vancouver and Montreal, the AYCE buffet wasn’t really up to par when it came to price or quality. My friend, however, had tried out Zen Sushi & Grill on 76 Avenue and 104 Street just south of Whyte Avenue and she suggested that we go for lunch one day. Personally, I was glad that we ventured to this location. They have another on 101 Street and 105 Avenue in downtown Edmonton, but I don’t feel particularly safe in that neighbourhood. This location has a parking lot right outside of the eatery, so parking is not only free, but a lot more convenient. I walked into the restaurant expecting that it wasn’t going to be that big, yet, as it turns out, there is another room adjacent to the main area that houses a full bar and more tables. The windows along the front of the building really help to brighten the space, which is a mix of brick walls, wood floors and a black and brown colour palette. The look is nothing fancy, but it is modern enough and it is clean. Lunch, I believe, was and still is around $20 per person on weekends. 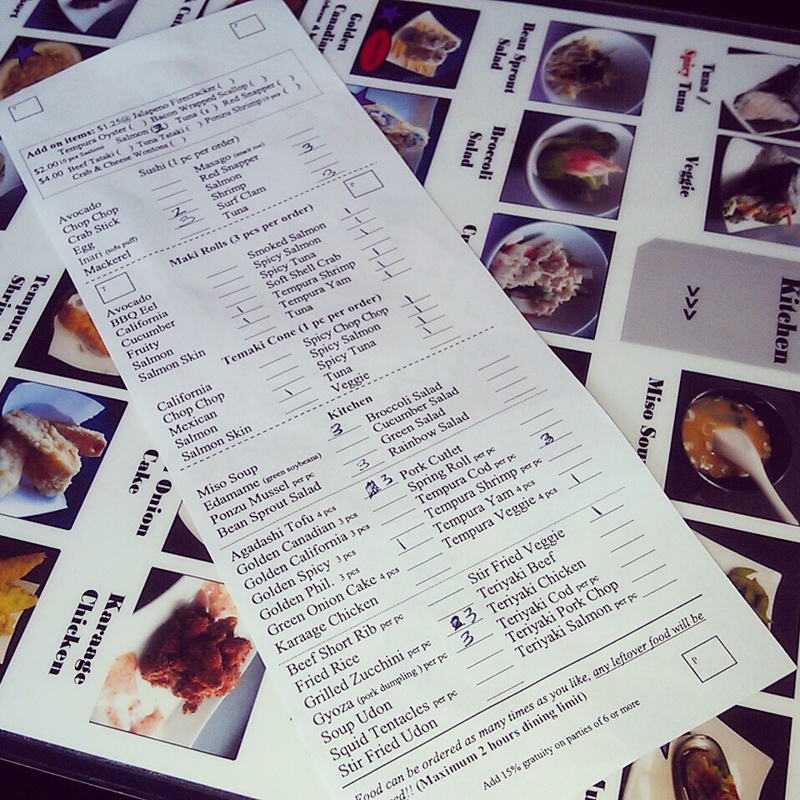 Once you’re seated, you receive a sheet where you can check off the items that you want to order. The menu is fairly extensive, including sushi, maki rolls, cones and an amalgam of cooked items. Sashimi, during lunch hours, is an extra $2 for 10 pieces. The Zen menu and order sheet. Since I had never dined there before, we splurged and added on a couple orders of sashimi (the pieces were thicker than I would have assumed). In addition, we got a mix of sushi – salmon, tuna, inari, masago and chop chop – some miso soup, bean sprout salad, agadashi tofu, veggie tempura and tempura cod, among other items. Surprisingly, all the fish tasted fresh and not like it was at all previously frozen. The options available were more than enough to satisfy my sushi cravings as it covered the typical gamut of choices. The agadashi tofu is usually fried very well, leaving a nice thin layer of breading on the outside that soaks up the sauce. Sometimes the tempura can be a little bit greasier than I would like and at least twice I’ve noticed that when they deep fry large pieces of broccoli, the batter doesn’t always cook all the way through, so inside the head of the veggie you might find a floury consistency. Overall, despite a couple of missteps, Zen did exceed my expectations for AYCE sushi in this landlocked city. And, while I do not think it can quite compare to what I’ve tried across the rest of the country, having eaten there many times after this first occasion, I would still recommend going for the chop chop (raw scallop) sushi, the soft shell crab maki (fantastic the first time I ate it there, not as good lately, but you never know), their agadashi tofu and the green onion cakes. What I like is that they don’t overdo the rice portions for the sushi – the balls are small as they should be. The picture menu at Zen. A huge plate of sushi at Zen. More sushi and maki at Zen. Salmon sashimi, salmon and inari sushi and veggie stir fry at Zen. Soft Shell Crab, Fruity and Smoked Salmon maki at Zen. A variety of maki and bowls of bean sprout salad at Zen. A plate of Chop Chop, Masago and Salmon sushi at Zen. The service is good and the owner is especially nice. I’ve been there for both Mother’s Day and Father’s Day in the last year, and I can tell you that they don’t up the price on holidays. Also, although I’ve never had an issue walking in and getting a spot, they do offer to take reservations, too. Within a year, Zen had become my go to for sushi. It was perfect for those days when you’re craving anything and everything Japanese for an affordable price. Yes, there are plenty of great sushi establishments in town nowadays, but where else can you spend under $25 and eat as much as you can fit in your belly? This is why I was ecstatic to see that a new AYCE sushi restaurant was to take the place of the recently vacated Matahari space on 124 Street and 101 Avenue. As quickly as Matahari disappeared, the banner sign advertising the soon-to-be open Watari Japanese Cuisine was hung. Every time I drove by I became giddy with excitement wondering when they would be ready for customers. Eventually in August I’d heard that they, indeed, were officially serving food. My friend joined me for dinner after work before we headed to a show at the Edmonton International Fringe Theatre Festival. One page of the printed menu at Watari. The entrance to Watari Japanese Cuisine. I had never eaten at Matahari before the eatery closed, but I had seen photos, and I’m guessing it was a quick turnaround for Watari because they kept some of the decor the same. A number of raised booths sit along the wall closest when you enter the restaurant. There are also a handful of other booths opposite and bar height tables in the middle. Again, the look is nothing spectacular, but it is pretty comfortable and it is clean as well. We stuck with tap water, which was incredibly refreshing because they toss slices of lemon or lime and sometimes mint leaves in for flavour. With dinner, you can have up to 30 pieces of sashimi per person, so the two of us ordered the maximum (40 pieces of salmon and 20 pieces of tuna – both fresh, but the salmon was melt-in-your-mouth and the better of the two) to split. No lie, I swear we had at least two full-size fish at our table because the slices were substantial. We also tried out the tacos, sushi including salmon, tuna, inari and red snapper, miso soup, a variety of maki rolls (their Target roll of tuna and green bean is good), beef tataki (awesome), Hawaii poke(y), bean sprout and seaweed salads, a combination of shrimp and veggie tempura (you order what you want by the piece), cream cheese (and crab) wontons and beef short ribs, all of which I would urge you to try. Tacos and sashimi at Watari. The golden Alberta maki rolls with beef short rib and a basket of tempura at Watari. Salmon, tuna and red snapper sushi at Watari. Various maki rolls at Watari. Fruity rolls at Watari – this is what I usually order as my dessert. Spicy salmon and rainbow tacos with tuna sashimi at Watari. Inari sushi and thick pieces of salmon sashimi at Watari. Miso soup, bean sprout and seaweed salads and beef tataki at Watari. Masago and egg sushi at Watari. Beef tataki and Hawaii Poke(y) at Watari. Fruity and yam maki rolls with inari at Watari. Close-up of the fruity rolls at Watari. The cream cheese (and crab) wontons at Watari. Salmon sashimi and beef tataki at Watari. Crispy noodles with pork cutlet at Watari. Beef short ribs and golden rolls at Watari. You could literally have rolled us out of the restaurant, we were so full by the end. However, I can happily say that we triumphed and polished off every last piece of fish and rice. For the $27.95 weekday adult dinner rate, I think we more than got our money’s worth. Watari is so close to my parent’s place that I’ve now eaten there a few times (the latest occurrences for lunch) and, I have to say, that while it was already good the first time with my friend, it has improved each time since. Also, with over 100 items to choose from on their menu, there is definitely something for everyone, even those who are not fans of raw. Zen and Watari, in a competition, are fairly matched. The reason for that can likely be chalked up to the fact that, apparently, the owner of Watari was the previous co-owner of Zen until he decided to open his own restaurant. I find it hard to decide which should be called the superior place, if at all. Each one has a few items that are not offered by the other, so, for me at least, there’s always going to be the temptation to visit both. For those of you who look at this as a numbers game, I will break it down for you though. Sashimi (15 pieces per person) is already included with lunch at Watari for the $22.95 price, making it pretty much equivalent to Zen should you decide to add sashimi to your meal there. 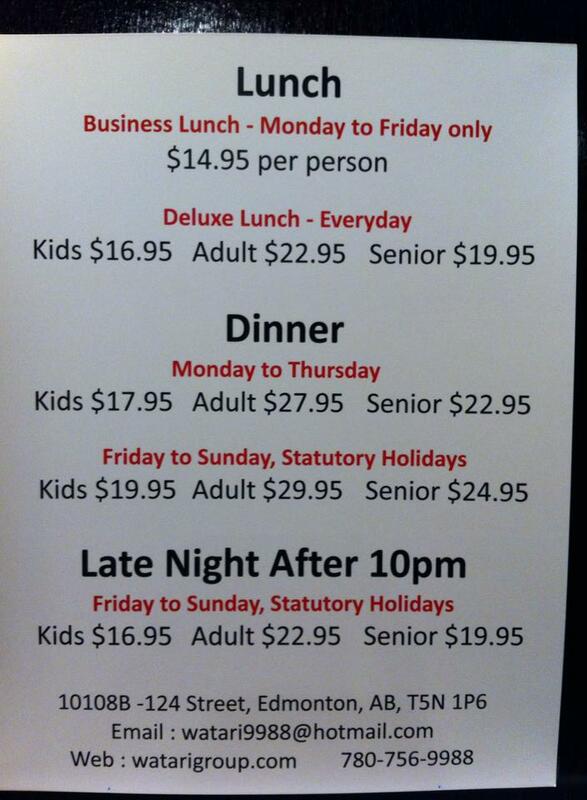 If you happen to be a senior, the cost of eating at Watari is an even better deal at $19.95. They also have a lower price of $16.95 for children. Watari also recently added late night (10pm on) prices for Friday to Sunday and statutory holidays that equal the cost of lunch (reservations are recommended on weekends). The menu between both restaurants is relatively similar, but there are minor differences. Watari includes tacos, Hawaii poke(y), beef tataki, cream cheese wontons as well as specialty rolls created in-house. They also have the option of the Monday to Friday business lunch, which does away with the sashimi and a number of menu items, but still leaves sushi, maki rolls and the majority of their kitchen and deep fried menu items up for grabs, all for the low price of $14.95, regardless of age. Zen has chop chop sushi and soft shell crab maki on the menu, two tasty items that are not available at Watari. Both restaurants have other options that are extra in cost, but I’ve never felt the need to order any of them because what is included in the set price is more than enough for everyone. Watari’s current pricing as of October 2014. Photo courtesy of Watari’s Facebook page. Watari and Zen both have excellent service that is quick and friendly, so you can make the most out of your two hour dining limit. Once in a while they may miss bringing an an item or two, but, as long as you remember that you didn’t get it, you can always order it again in the next round. As with all AYCE establishments, they are very conscious about eating responsibly, so be sure that you order only what you can finish. Anything that is left behind is subject to extra charges as it’ll likely have to be thrown away. Both restaurants offer free parking – Zen out front and Watari has a few rows of parking behind the building. If I really had to choose, I would say that Watari bests Zen, but only by inches. 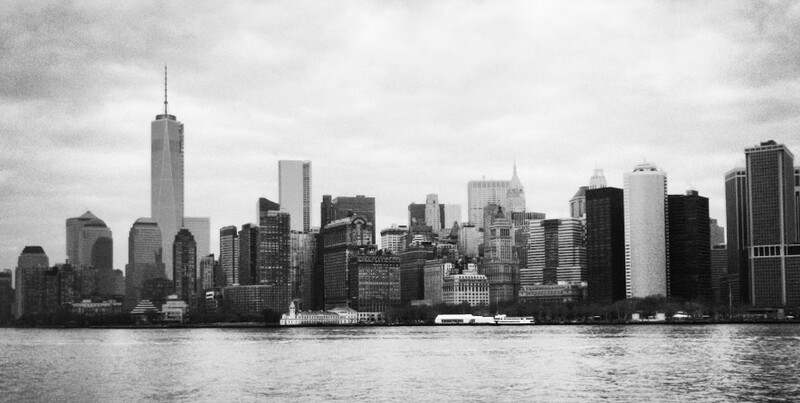 In all honesty, you cannot go wrong with either of these places. The two are favourites of mine, and they’re definitely the top AYCE sushi restaurants you’ll find in Edmonton. I’ve left both happily gratified each and every time.